Susan Potters and Anne Wilkinson, who teaches strings education at USM and who directs a thriving strings program in the Saco schools, conducted a workshop on Friday, May 18 at the MMEA conference at UMaine in Orono. The title of the session was “You can start a strings program – for all music educators!.” Twelve music educators attended, all of whom had questions and stories to tell about either trying to start strings programs, or helping struggling programs grow stronger. Stay tuned for more! On the occasion of Midori’s visit to Maine, at the invitation of the Bangor Symphony, in March, 2017, MAAE and the BSO collaborated to organize the first “Maine Strings Roundtable,” a chance for the whole spectrum of stakeholders in youth strings engagement and instruction not only to meet Midori, but also to meet each other. 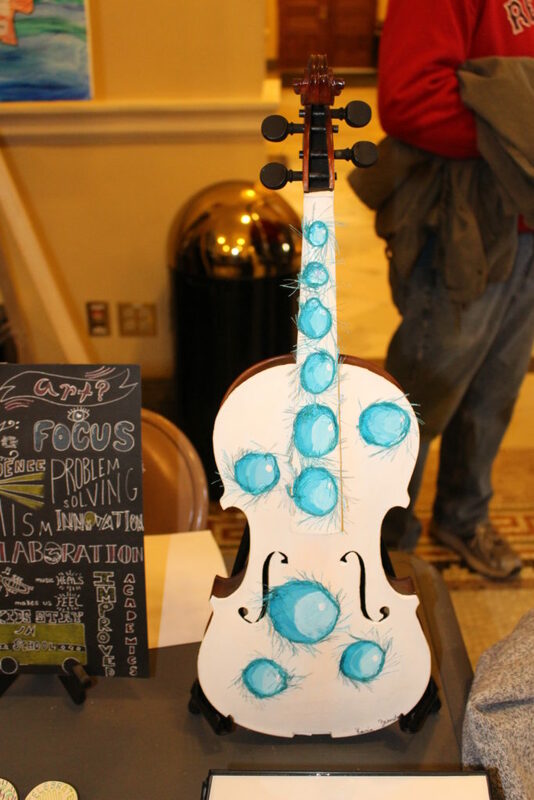 Over 30 representatives came from all over the state, representing public and private strings education, youth performance programs and string ensembles large and small that include or provide programming for Maine youth. At the meeting held at Colby College, and hosted by the Music Department, the stakeholders shared their successes and challenges “around the table,” and the group decided to keep the Roundtable idea going. This past September a second Roundtable, hosted by the USM Music Department, focused on the issue of creating and fostering strings programs in Maine public schools and included good input from strings educators themselves, including from Anne Wilkinson, the strings ed teacher at USM and director of strings at Thornton Academy. The challenges – particularly for band and choral teachers who might want to start strings programs at their schools, and who receive pre-service training in strings, but need more training and ongoing support, were the subject of a meeting on April 26th at the Maine Department of Education. Hosted by Beth Lambert, Visual and Performing Arts specialist at the DOE, the meeting included representatives from the USM and UMaine music ed departments and the MMEA, as well as several interested band teachers.